Here, we are going to learn about a deep dive into mongo database (MongoDB). More popularly known as "mongoDB". It is a no-sql based database. 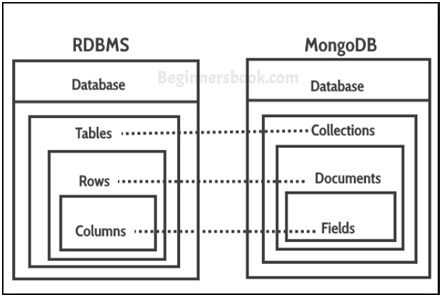 In comparison to a SQL based database, MongoDB is far more flexible. MongoDB makes more than one replicas of the primary database. Thus storing the same data at multiple locations. So, that traffic gets divided between multiple locations, therefore, ensuring fast retrieval of data even in cases of a large number of transactions. Computers parse data in MongoDB which is in JSON format at a much higher rate as compared to SQL- based database. Moreover for even human beings data in MongoDB is much more readable rather than tedious tables and columns used in SQL DBS. It is a software developed by MongoDB enterprise which provides a user interface for viewing our mongo database. It also supports CRUD operations, Querying of our database. Also enables the filtering of data in the database via equality, inequality and geospatial filters. It even provides an analytical summary of data in each collection. Provides all the functionality provided by mongo compass. The difference is that it is not GUI tool rather it is an interpreter wherein user writes commands.